Spotify's first earnings report as a public company hit the wrong note for investors. The streaming music service reported Wednesday that it hit 75 million paying subscribers and trimmed losses in the first three months of the year, but that wasn't enough to impress investors. Shares fell 7% in after hours trading as investors scrutinized the newly public company. Even amid fierce competition from the likes of Apple (AAPL) and Amazon (AMZN), Spotify added 4 million paying customers during the quarter, and its paid subscriber numbers increased 45% from the year before. The company now has 170 million monthly active users in total, the majority using the free, ad-supported version of the service. By comparison, Apple Music, Spotify's next closest competitor, hit 40 million paid subscribers last month. 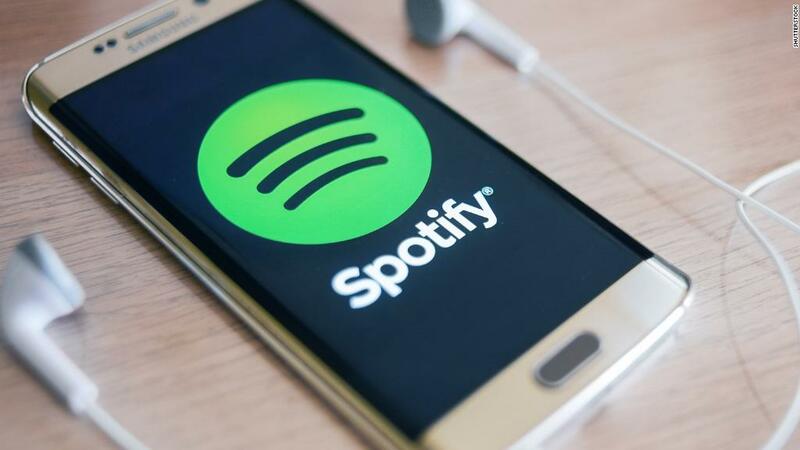 Spotify's operating loss for the quarter fell to 41 million euros, or about $49 million, down from 139 million euros in the same period a year earlier. Tech companies have a long history of whiffing on their first earnings reports after going public. Facebook, Twitter and Snapchat were all deemed not good enough and had to prove themselves to Wall Street in the quarters that followed. Spotify's unconventional Wall Street debut added an unknown. Unlike in traditional IPOs, Spotify did not raise new capital. Instead, it listed existing shares directly on the stock exchange without relying on underwriters to attract investors, set a price and stabilize the stock as it began trading. The unusual debut initially had analysts throwing up their hands about what to expect after Spotify went public. Spotify itself warned that trading could "be more volatile" as a result of this approach. Yet the stock has been relatively stable. Spotify opened at $165.90 a share on its first day of trading and ended trading Wednesday at about $170.